Not sure you want to traipse the kids and the in-laws all the way to the Med this summer for your annual Superyacht Experience? Maybe an action-packed adventure closer to home is what you need — onboard the Proteksan Turquoise yacht ICE 5, in beautiful New England. There is so much to see and do in this lovely area, not to mention all of the amazing amenities and activities onboard your private yacht! The 140ft yacht, built in 2002, completed a major refit several months ago, and she looks as good as the day she was launched. Easily rivaling the volume of larger vessels, yacht ICE 5 boasts a spacious interior and has sprawling decks and outdoor spaces. Her roomy layout offers something for every charter guest, making her an ideal choice for large groups, families, even corporate events. Accommodations are offered for up to 12 guests in six staterooms, including a master suite and two VIP staterooms. A large assortment of watertoys will keep you and the family busy for hours every day. The New England yacht charter summer rate for motoryacht Ice 5 is $130,000 per week + running expenses. Come explore historic New England and The Superyacht Experience, as only 1-800 Yacht Charters can provide, this summer. Let 1-800 Yacht Charters secure prime dates for you, today. Email info@1800yachtcharters, or call 1.800.922.4824 to check availability. We stand by, at your service. After navigating the congested roads and waterways of Miami Beach the past 4 days at the 2018 Miami Yacht Show, we’re thrilled to announce the show will relocate to the mainland – near downtown Miami, for the 2019 installment of the annual event! Pending state and federal permits, the show will relocate to the Resorts World property (formerly the headquarters of the Miami Herald newspaper), just north of downtown Miami next to the Adrienne Arsht Center for the Performing Arts and the Sea Isle Marina. 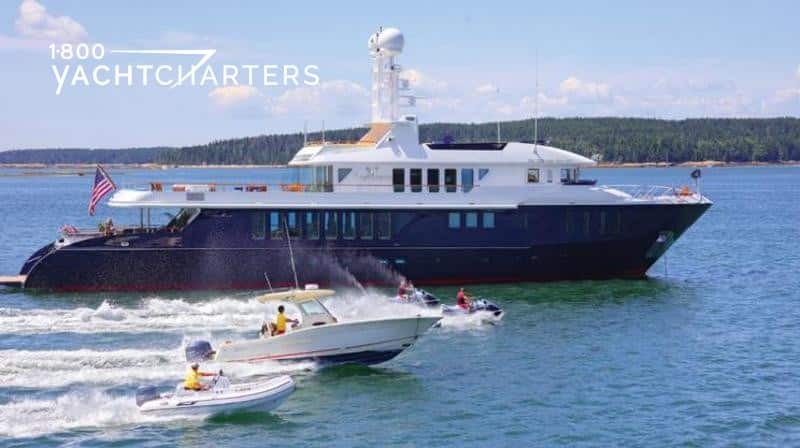 The show is managed and co-owned by Informa and IYBA, the International Yacht Brokers Association (our company President, Jana Sheeder is a member of IYBA). The event runs concurrently with the Miami International Boat Show, which is owned and operated by the National Marine Manufacturers Association. This year, as in years past, our biggest challenge in inspecting the luxury yacht charter vessels participating in the show is the lack of timely access. Some yachts are docked along the Indian Creek waterway, in front of the iconic Eden Roc and Fontainebleau hotels. Scenic? Yes. Accessible? Hardly… There’s only one road running north to south (Collins Avenue) and it can easily take 1 hour to traverse the mile-long row of yachts docked along Collins Avenue. Further adding to the time constraints, the largest yachts (like 213 foot Codecasa superyacht Double Down, and 180 foot Heesen yacht Quite Essential) can’t fit at Indian Creek, so they are moored at the Island Gardens marina on Watson Island – about 5 miles away. Traffic congestion and a woeful lack of parking near the show locations exacerbates the access problems. Most importantly for our team, water taxi transportation will connect the primary show site to Islands Gardens superyacht marina on Watson Island, where some of the largest charter yachts in the world will be berthed. Even cruising at 5 knots in a watertaxi should take no more than 5 minutes to shuttle between these two locations. 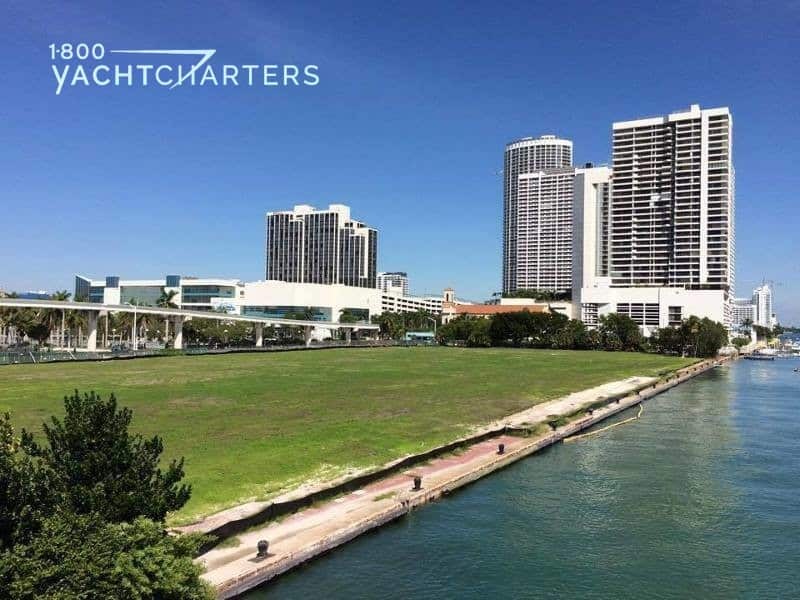 The new yacht show venue also has the added benefit of proximity to the Miami International Boat Show (MIBS) at the Miami Marine Stadium on Virginia Key (Key Biscayne). Foodie Culinary Tour – Take a culinary tour of the various restaurants throughout South Beach and the Miami Arts District. We’re extremely excited about the future of the Miami Yacht Show. With better parking, greater access to the charter yachts, luxury product vendors and restaurants, the 2019 show is an event not to be missed! You would think Delivering the Superyacht Experience to boating clients would be pretty straightforward: A client expresses interest in a yacht for a family vacation; the charter broker presents several options; and the client makes a selection. In reality, it’s not nearly so clean and to the point – at least not for the handful of super-brokers who handle the world’s elite travelers. 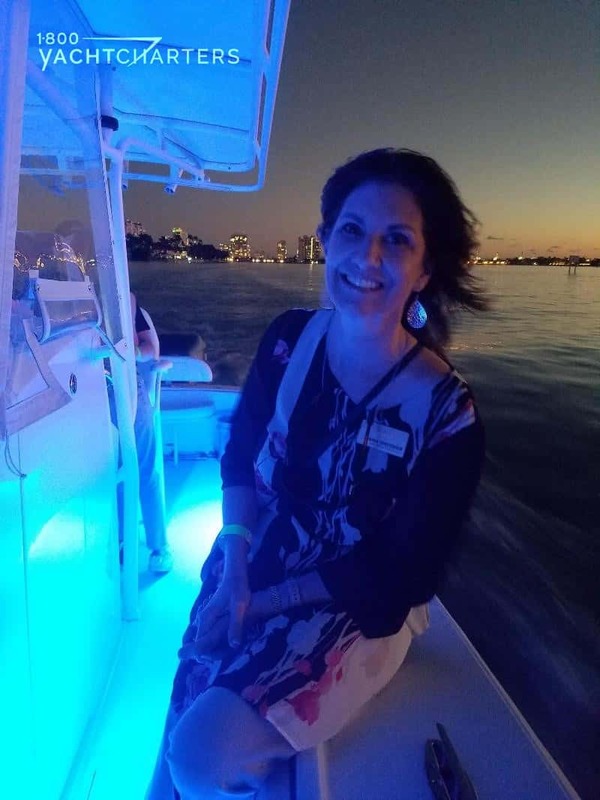 Just ask luxury yacht charter maven Jana Sheeder, President of 1-800 Yacht Charters. According to Sheeder, matching a yacht to the client’s budget is just the starting point. Local regulations regarding the charter guests’ use of watertoys such as waverunners. VAT implications of chartering in certain European Union countries. Advance entry requirements prior to arrival in certain ports of call. Currently, Sheeder is monitoring the possible impact of French social security tax responsibilities on yacht crews. In March 2017, a decree was passed to require crewmembers and their non-French employers (the yacht owners) to make contributions to ENIM – the French mariners’ social security agency. Any yachts and crews spending more than 90 consecutive days in France or French waters are subject to the tax. The decree was suspended Sept 13, following a disastrous summer tourist season that saw France luxury yacht charter revenues plummet by 40%. Sheeder is waiting to see if the decree is actually overturned in 2018, or if it will come back in a modified form. “These increased costs associated with crew wages end up being are passed on to the charterer, in the form of higher rates for yacht rentals,” says Sheeder. 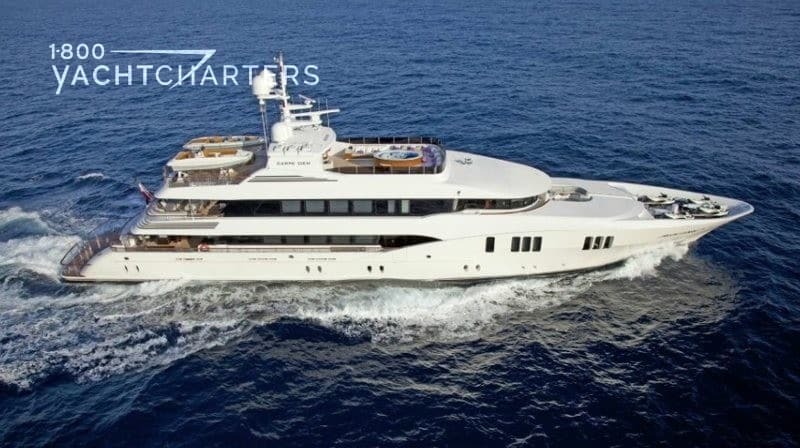 If the decree is reinstated, Sheeder plans to either offer her clients yachts with French crew, or to convince them to bypass French waters and charter elsewhere in the region. A luxury yacht charter is the ultimate vacation for today’s elite travelers. Wired, connected, and driven by sustainability and the greater social good, they want to immerse themselves and participate in unique cultural events. 1-800 Yacht Charters understands that their chartered yacht must serve as a platform to an eco-friendly adventure – a chance to reconnect with family and friends, embrace diverse cultures, and rejuvenate mind, body, and spirit. If this sounds like your next vacation, CONTACT our charter consultants at: 1.800.922.4824 (North America) or 305-253-7245 (local South Florida and international) today. Back in January, 2014, we alerted our clients to new rules regarding a VAT increase imposed on Croatia yacht charter rentals. At that time, the government increased the VAT rate from 10 % to 13%, to help combat the country’s economic woes. To offset this tax burden, we encouraged our clients to commence their charters in nearby Montenegro, then cruise into Croatian waters, tax-free. Effective this month, new regulations take effect and eliminate the loophole that allowed tax-free cruising in Croatia. 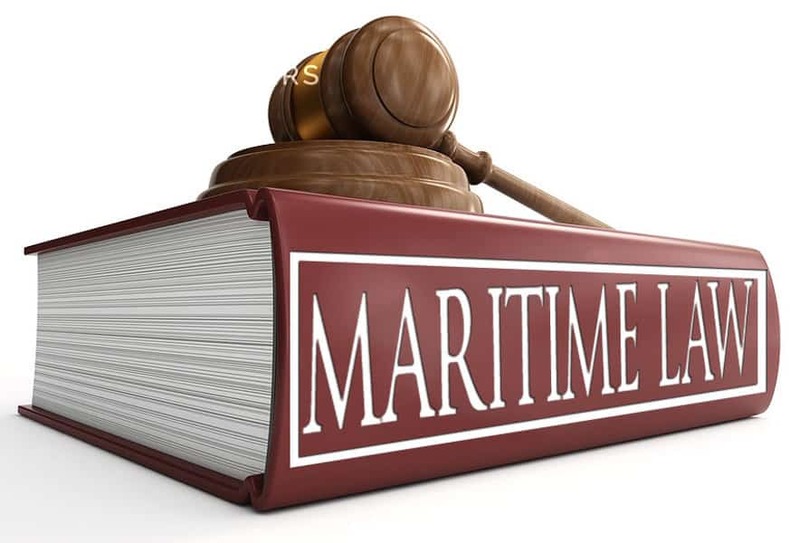 In February, the Croatian Ministry of Maritime Affairs announced the regulations that govern the Croatia yacht charter market would be amended to, “…bring the regulations in line with other European Union Member States.” The main change was the imposition of VAT on charters starting outside of Croatia. The new regulations are not retroactive. Thus, any charters booked prior to the regulation change are exempt. Non EU flagged yachts under 40 meters will need to secure a charter license to operate in Croatia. The license will be required even if the charter starts outside Croatia. Are you considering a private yacht charter vacation in Croatia or elsewhere in the Mediterranean this summer? 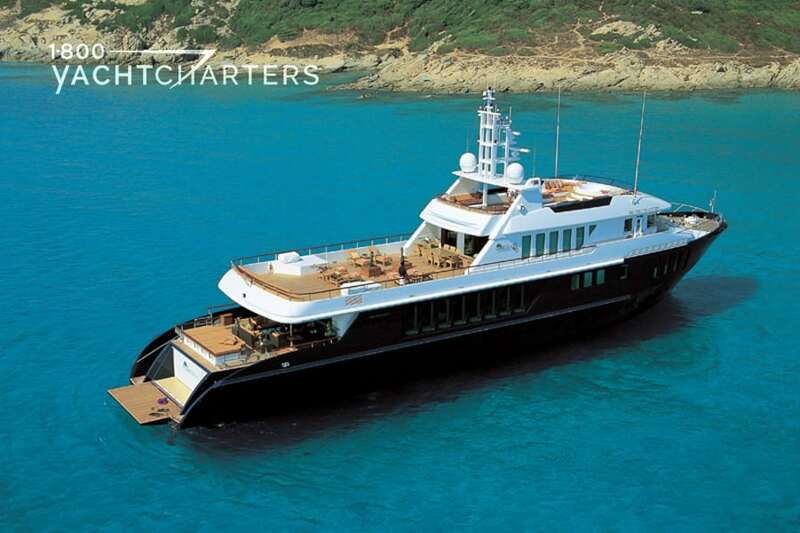 Click https://www.1800yachtcharters.com/superyacht-charter/ for a sampling of superyachts available this summer. Come enjoy The Superyacht Experience as only 1-800 Yacht Charters can deliver! Whoo hoo! The yacht’s representative contacted us to announce newly reduced rates for the popular 191 foot motor yacht CARPE DIEM for the remainder of the spring in the Bahamas. Her weekly rate has been reduced from $395,000 per week to $375,000 per week. Additionally, the yacht is now accepting advanced reservations for the summer in the Med. The 191′ (58.23 meter) Trinity yacht CARPE DIEM is well known and instantly recognizable in the Bahamas. 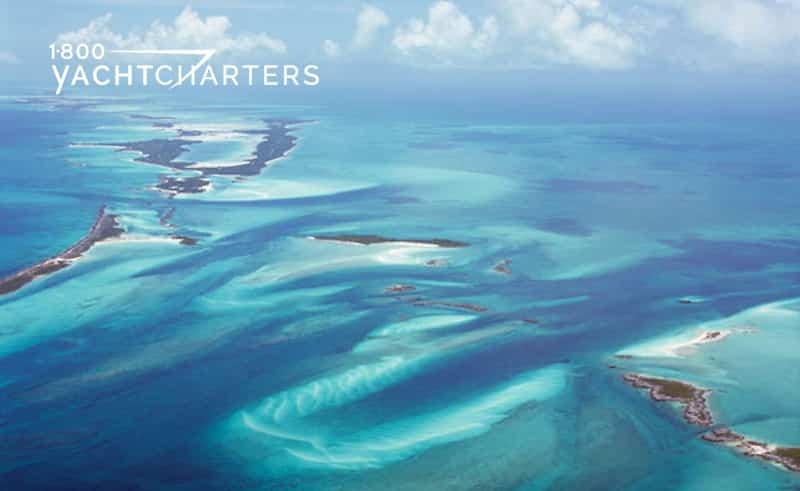 Captain Ryan Butterwick and his crew of 11 have been offering Bahamas yacht charter vacations to affluent travelers for the past three seasons. Most yachts of this size are based further south in the Caribbean during the winter – in St. Martin and St Barts. Captain Butterwick and the yacht’s owner saw an opportunity to be one of the very few large private yacht charter vessels to choose the Bahamas as their home port for the winter and spring. 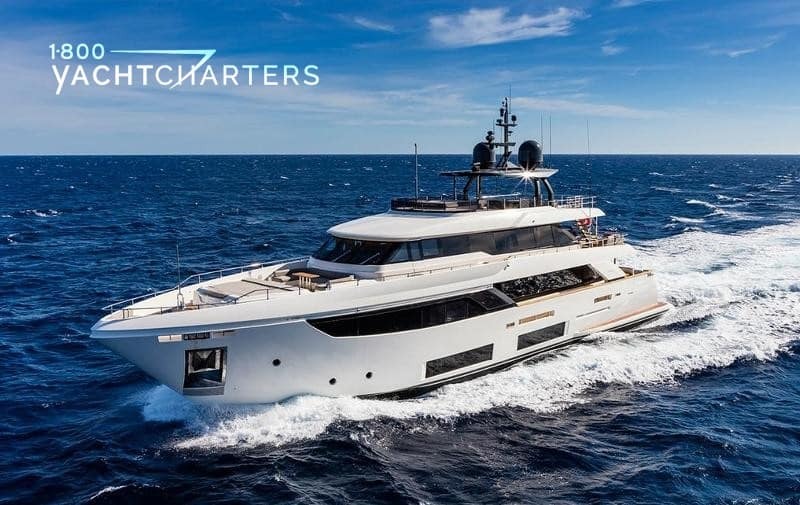 Offering accommodations for 12 guests, the acclaimed charter yacht was a finalist for 2012 World Superyacht Awards for Best Tri-Deck Semi-Displacement Yacht, and the 2012 Showboats Design Awards for Best Interior Design. The name, “Bahamas” is derived from the Spanish phrase, “Baha Mar” meaning “Shallow Sea.” This was the name given to the area by Spanish explorers. 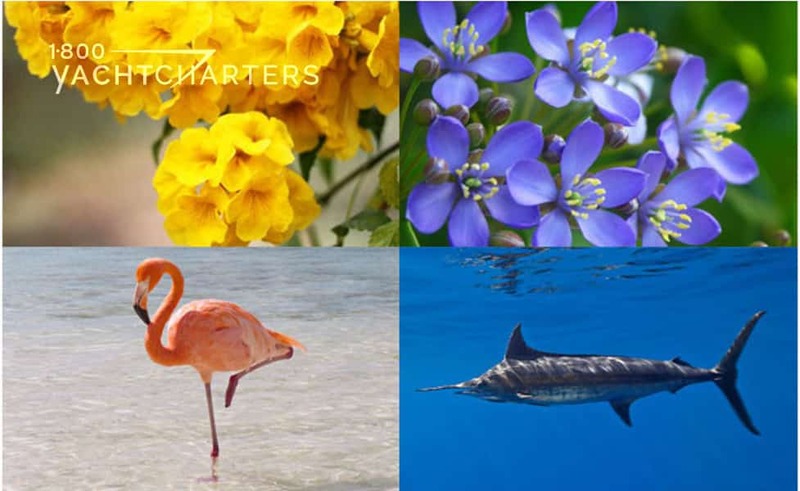 Indeed, the popularity of Bahamas yacht charters is in part due to the fact that the shallow waters with sandy bottoms are perfect for boating and watersport activities like riding waverunners, swimming with wild dolphins, and snorkeling. Believe it or not, it HAS snowed in the Bahamas. On January 19th, 1977 a strong cold front that swept into Florida from the northeastern United States passed over the Bahamas. While mostly cold rain fell, local residents did report snowflakes falling from the skies. For a brief time, everyone packed away their swim trunks and waited for the warmer weather to return. The snowfall that day – 41 years ago – is the last time snow was recorded in the islands. The constant tradewinds bless these islands with warm weather – even in the winter months. Winter lows average a comfortable 70 degrees (Fahrenheit), and summer highs between 80–90. This is truly a climate where you can have fun nearly anytime of the day, and in any season. Many tropical tourist destinations offer visitors a chance to swim and interact with dolphins – and some offer intrepid vacationers a chance to swim with sharks. But pigs???? 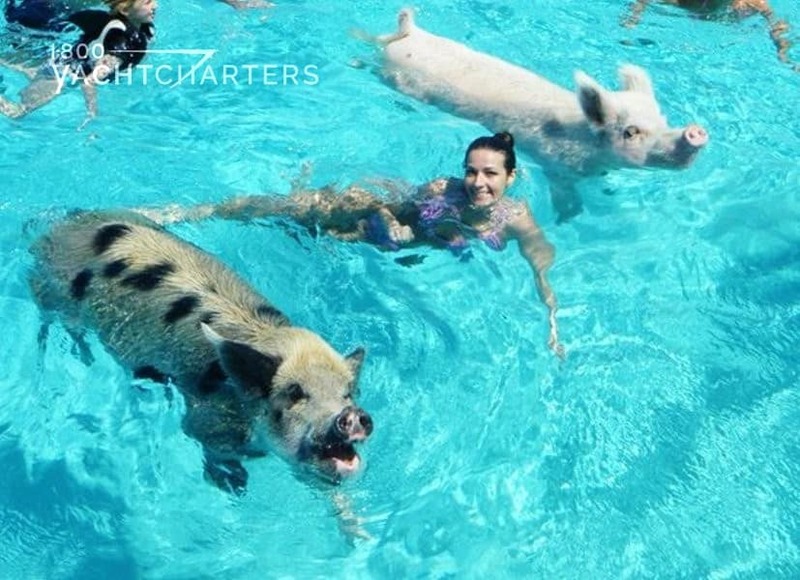 A favorite stop on most yacht charter itineraries in the Bahamas is a visit to Big Major Cay, home of the swimming pigs. How did the pigs get to the island? No one knows for sure. Big Major Cay is uninhabited and the pigs are not native to the island. Some Bahamians say the pigs were left by a group of sailors, while others claim the pigs swam to shore from a shipwreck. Wherever they came from, there are approximately 3 dozen pigs and piglets living on “Pig Beach.” The pigs are known to wade out in the clear shallow waters and swim up to visiting boaters – in hopes of receiving a snack. Charter guests often get into the water and swim with the pigs, then take the yacht’s tender ashore, to sit and pose for photos with the famous residents of Pig Beach. The national bird of the Bahamas is the Flamingo, specifically the West Indian Flamingo – one of the largest species of flamingos. BONUS FACT: Did you know flamingos are pink as a result of their diet that consists largely of creatures like krill/shrimp? Once sadly hunted for their orange and pink feathers for fashion reasons, they are now a protected species. The Bahamian island of Inagua has the second largest population of flamingos in the world. The Bahamas national fish is the Atlantic Blue Marlin. This strikingly beautiful fish is one of the biggest fish in the world. Females, significantly larger than males, can reach 14 feet in length and weigh nearly 2000 pounds. Average sizes tend to be in the range of 11 feet and 200 to 400 lbs. The area around the island if Bimini is considered the Big Game Fishing Capital of the Bahamas. Today, most fishermen practice catch and release, to help sustain the big game fish population.